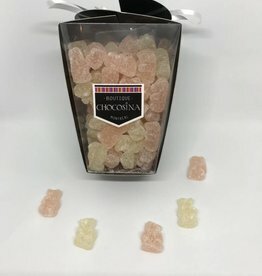 Sweet gummy bears infused with Prosecco flavoring. These bears come in classic or sugar-coated selections. Prosecco sugar-coated flavored gummy bears in gold and rose. 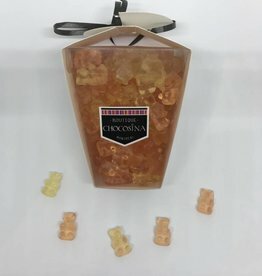 Prosecco flavored gummy bears in gold and rose.